Stages are just half the battle. 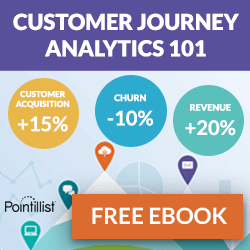 Get the ultimate list of 65 questions to help you fully understand the B2B customer journey for your customers & business. When people talk about understanding the B2B customer journey, it seems to me that the majority of the time we tend to do so primarily in the context of stages – the various phases customers encounter at different points throughout their journeys. As I outlined in a previous article about the stages of the new digital marketing funnel, there’s no question that having a well-defined stages model is absolutely essential for customer journey mapping. It’s a must. Critical as they are, stages models are certainly not all there is to it when it comes to really getting a complete picture of the B2B customer journey. Far from it. There are many other important variables and considerations that you need to understand that are specific to your business and customers that can drastically change the nature of the path customers take in their journey, the obstacles and barriers they encounter along the way, and thus the marketing approach that should be taken accordingly. At SmartBear, our customer journeys varied incredibly across all of our different products, markets and audiences, so of course we needed to understand this in order to apply different marketing strategies for each. 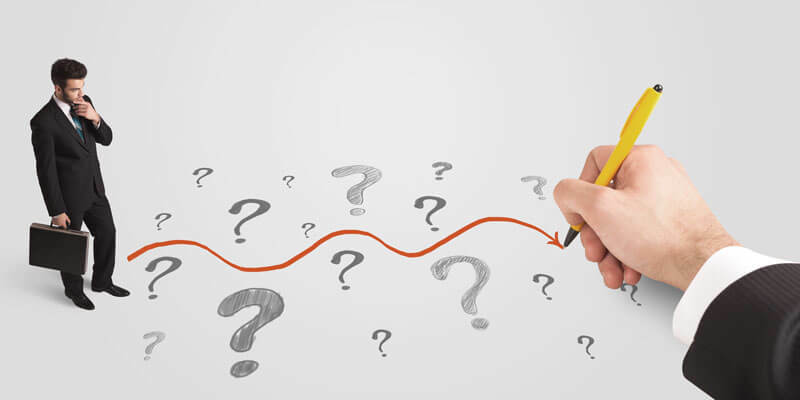 Below I’ve compiled a list of question examples that you may look to answer in order to get a more complete understanding of what the B2B customer journey looks like for your customers and organization. What are their work responsibilities? What knowledge and skill sets are required to do their job? What motivates them? Why do they get out of bed in the morning? What do they like and dislike most about their job? What are their top work priorities? 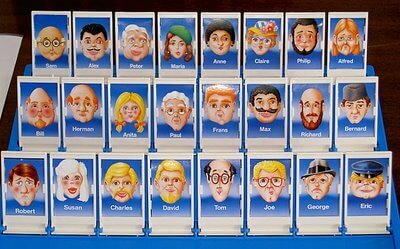 What does their team look like? Who do they trust? Look up to? Respect? What traits and characteristics do they admire in organizations? What are their hobbies and interests outside of work? Company size: How many employees? Annual revenue? What does their technology stack look like? What is their organizational structure? What are their geographic locations? Who are your customers’ customers? Who are your customers’ competitors? What blogs and online publications do they read? What online communities do they belong to? Which social media networks and platforms do they use? In what format do they prefer to consume content? What thought leaders, writers, bloggers, and industry experts do they follow? How do they research vendors online and in general? What are the common problems and pain points customers experience that your product/service can help alleviate? How do they solve (or cope with) the problem before using your solution? What are the common buying triggers, or common events or conditions that often set customers off in search of a solution? What language and terminology might they use when talking about your solution? What keywords and search phrases do they use when looking for a solution? What are the most important values the product/service provides customers? What are your key value propositions? What are the most important features/capabilities provided in the product/service? What are the different use cases for why/how different customers use it? How complex is the solution to use? To implement? What level of knowledge, skills or experience do customers need? What are the key 3rd party technology integrations or partnerships? What key technologies does or doesn’t the product support? What is your pricing model/structure? Average length of sales cycle? Common sales barriers and objections? What are the different internal roles involved with the purchasing process? Who are the users? The influencers? The decision maker? Champion? What is your market share? Positioning? What are your top strengths, differentiators and advantages vs leading competitors? What are your top weaknesses and disadvantages vs leading competitors? What key trends are happening in the marketplace? 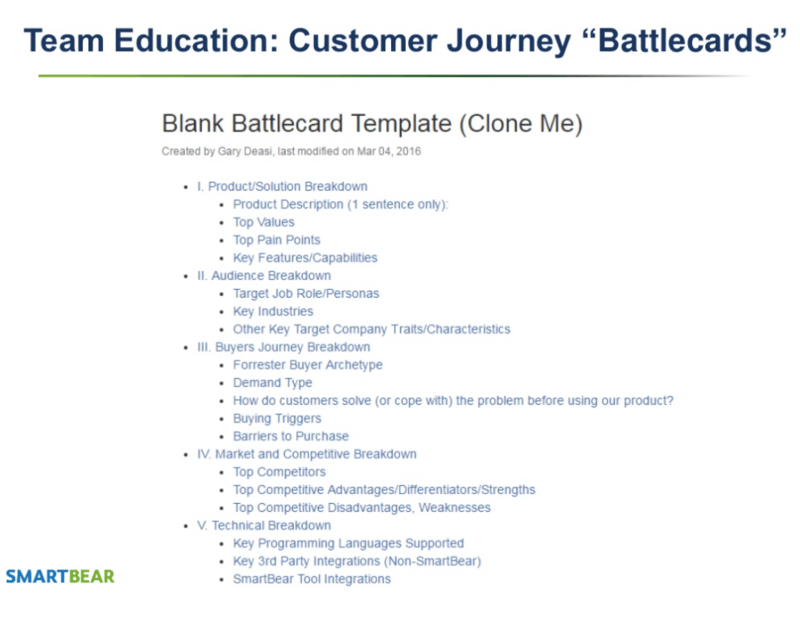 Once you have all of this juicy info on customer personas and organizations, your business and the market landscape, add this to the customer journey stages knowledge, and we will then have a much more complete view and understanding of the B2B customer journey. You’ll most likely need to collect information from a number of different sources, which might range from online surveys and interviews with customers and internal experts, networking, research and data analysis. However you decide to go about doing the research, I would strongly encourage making sure customer interviews is a regular part of the process. In fact, I believe marketers should take the opportunity to hop on the phone and talk to customers as often as the opportunity arises. The qualitative information you often dig up in those conversations with customers is just absolute gold, and stuff you commonly won’t be able get anywhere else. I actually interviewed 22 different customers last year as a part of a brand project I was working on, and I probably learned just as much valuable info from a demand gen and customer journey perspective as I did in relation to the brand. Once you’ve done your research and collected all this great knowledge, its important to get the info into the hands and heads of each member of your team so they can start putting it to good use. For each product, we created a designated internal wiki page (or “Customer Journey Battlecard”) with all the customer journey information a marketer would ever need for that product in one centralized location, where it could be accessed and leveraged by anyone on the team at all times. I worked with product marketing managers to get much of the missing info filled out on these pages, and then held a marketing team training series to help educate the team, which we also recorded and added to the wiki pages. As Steve Offsey pointed out in a recent interview about customer journey mapping misconceptions, far too often marketers don’t invest the time and energy to conduct the necessary research required to truly understand their customers and the B2B customer journey. Without ever even getting input from the actual customers, or conducting substantial external research, teams frequently construct their marketing strategies and customer journey mapping programs based entirely on their own internal perceptions and point-of-view. Regardless of customer journey mapping, I think few would argue that there is little if anything more vital to the effectiveness of marketing than understanding your target customers. 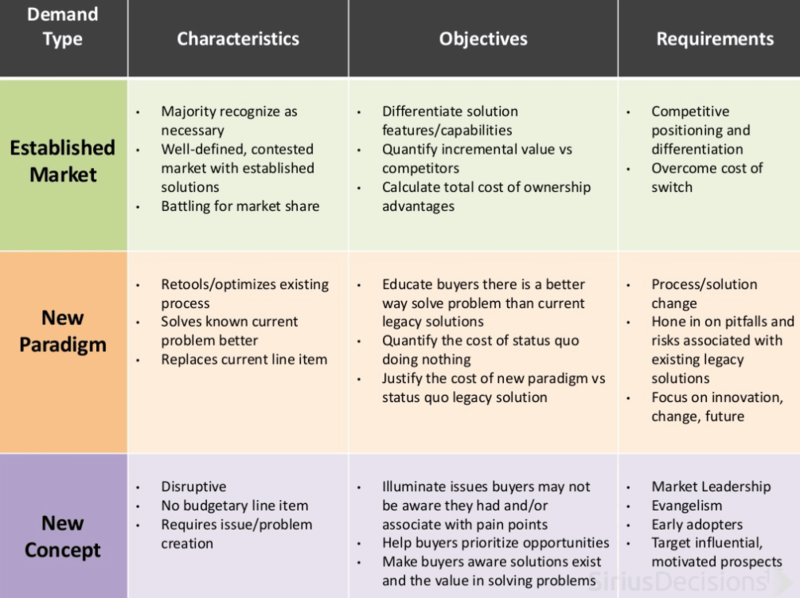 So, I’m not suggesting that you need to answer every single question on this list in order to understand the B2B customer journey, but the more of this kind of knowledge you do have about your customers, business, and market, the more vivid (and accurate) your picture will be. 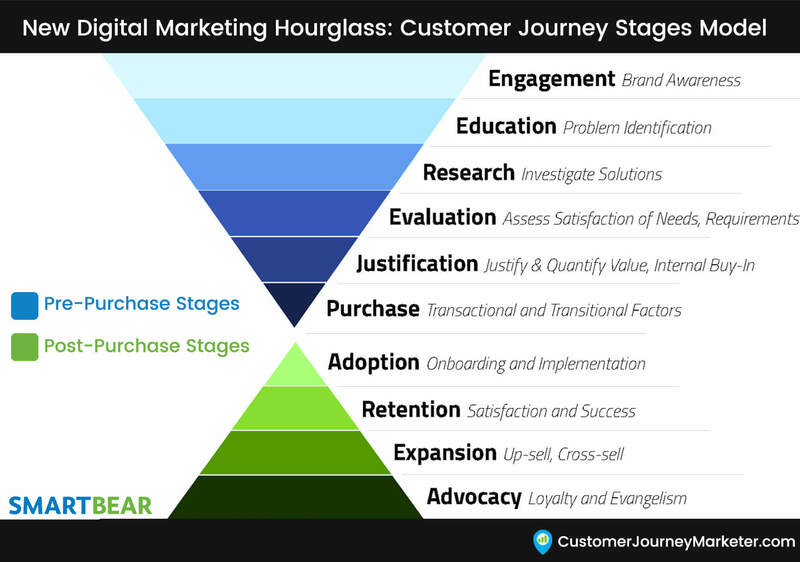 Customer journey stages are just half the battle. If you haven’t already, take the time to do the important research that really helps you complete your holistic view and truly understand your customers and their journeys! We did the “battlecard” project over a period of six weeks. Easy peasy. 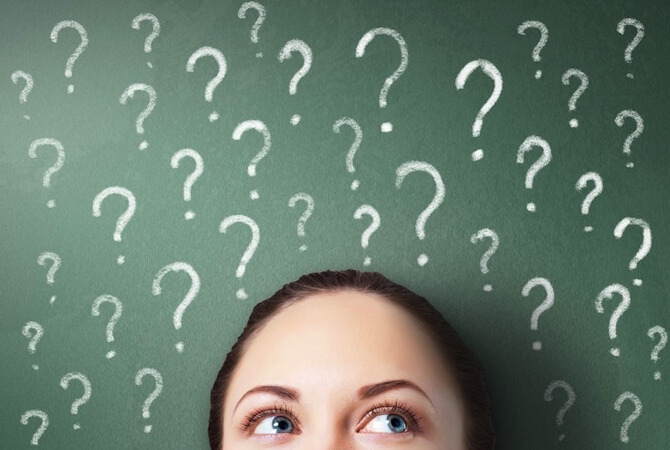 What questions do you think are most important for understanding the B2B customer journey? Any others you would add to the list?